A Buyer's Agent is a real estate agent who will represent a home buyer throughout the process of buying a home, and negotiates on behalf of the home buyer. Red e Realty has reputable, experienced Realtors to represent you as a buyer's agent from the start of your Schuylkill County PA home buying process. 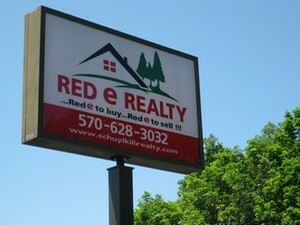 A Red e Realty buyer's agent will oversee the entire process of the purchase of your Schuylkill County PA home. We assist our buyers through the financing process, locating and showing interesting homes to our buyers, and coordinating all third parties to get to closing. Red e Realty specializes in working with buyers, especially first time buyers assuring a smooth home purchase. 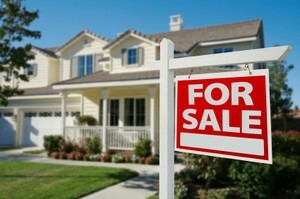 During the process of buying a home, most properties are represented by the Seller's Agent. The seller has hired an experienced professional to help them sell their home, that is why it is important to have a buyer's agent represent your interests. Don't be at a disadvantage, Contact Us to have a Red e Realty buyer's agent represent you. CAN A BUYER'S AGENT SHOW ME ANY PROPERTY, EVEN IF IT IS LISTED WITH ANOTHER REAL ESTATE COMPANY ? The answer is Yes! Your Red e Realty buyer's agent will set up appointments, and provide you with information for any property you would like to see, even if listed with another real estate firm. You no longer have to drive around, calling agent's names on yard signs. We make it easy, and provide you with updates on all the latest Schuylkill County PA mls property listings, so you won't miss out on any hot properties coming on the market. WHAT DOES IT COST TO HIRE A BUYER'S AGENT ? Most home buyers don't understand how real estate agents are compensated. When a seller signs a listing agreement with a real estate agent to sell their home, they agree to pay a commission when their home is sold. The commission is paid to both the seller's agent and buyer's agent involved in the transaction, and the commission is usually split between the two agents. This means there is typically no commission cost to a home buyer for working with a buyer's agent. The buyer still gets all the benefits of working with a Red e Realty buyer's agent, who negotiates on their behalf and represents their interests! Help you with the pre-approval process. Provide you with the most current property listings that meet your criteria. Arrange appointments to view homes you want to see. Explain the benefits and features different homes may have. Provide you with comparable analysis of recently closed(sold) properties, so that you are able to a make good decision on what to offer, once you have found the property that you want to buy. Negotiate on your behalf, to obtain the best deal possible for you. Once your offer is accepted, help you with the home inspection process. Negotiate repairs or obtain credits if needed, after the inspection is completed. 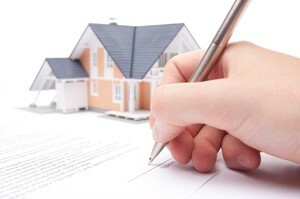 Oversee the title company and lender's progress through settlement. 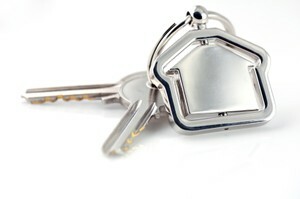 At closing the the buyer's agent will explain the documentation, so settlement goes as smooth as possible. The process of buying a home can go very smoothly, if you have an experienced Red e Realty buyer's agent to guide you. The first question any experienced realtor will ask you - Have you been pre-approved by a mortgage lender? A pre-approval will give you a negotiating advantage over another buyer who may not be pre-approved, if you are both competing for the same property. It will also save you time, if you do find a home you want to purchase. When you submit your agreement of sale(offer), the agent representing the seller will ask for a lender's pre-approval letter from you and your buyer's agent. Your Red e Realty buyer's agent will request that you get pre-approved, and help you through the pre-approval process, so you can determine the correct price range of home you can afford, and help you compare interest rates, closing costs, monthly payments, and explain different types of loan programs available so there are no surprises at settlement. THE AGREEMENT IS SIGNED - TIME IS OF THE ESSENCE ! Once you have an executed agreement of sale, signed by both the sellers and buyers, make sure that you comply with all contingencies, getting whatever is required done by dates of the the time periods specified in the contract. The agreement of sale is a legal binding contract, you may default if you do not meet your contractual obligations by the times specified in the agreement of sale, and your deposit money and sale of the home can be at risk. Your Red e Realty buyer's agent will notify you of what and when things must be done, so your transaction goes smoothly. If you would like to work with a Red e Realty Realtor to help you with the purchase of your next home, or sell your current home, Contact Us, or call us directly at 570-628-3032, we'll be glad to help!